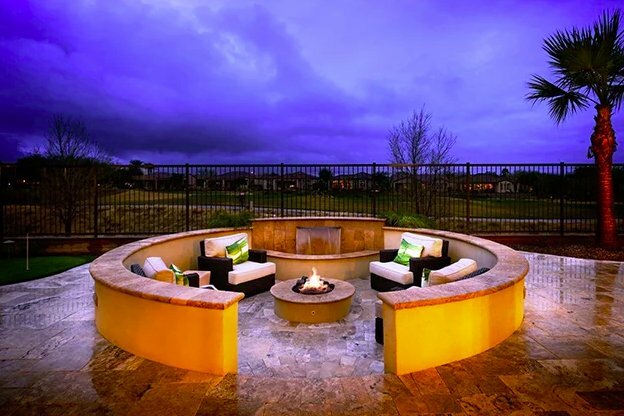 Head over to Trilogy at Vistancia for a Father's Day cookout. The 55+ community of Trilogy at Vistancia in Peoria, AZ, will be hosting a special Father’s Day event on Saturday, June 17 from 11am to 2pm. The event will be titled “House of Cards” and feature a BBQ to celebrate the summer season as well as honor all dads in Trilogy at Vistancia. Residents of this active adult community will also have the privilege of meeting with special guests from the NFL Arizona Cardinals organization, including wide receiver Chad Williams, the team’s mascot Big Red, and the Arizona Cardinals cheerleaders. They will be at the Mita Club from noon to 1pm signing autographs and taking photos with Trilogy homeowners and guests. Food and beverages will be available for purchase and RSVP is required. During the festivities, guests can explore all of the amenities found at the 17,000 square-foot Mita Club to witness first-hand what the lifestyle and social atmosphere is like in Trilogy at Vistancia. In addition to experiencing all that the Mita Club has to offer, visitors can also tour the community’s decorated model homes featuring indoor and outdoor living spaces. Homes are priced starting in the mid $200s and come in a variety of styles, sizes, and designs. Request more information about this event.